Are you getting ready for your next event? Let restaurants with catering services and food trucks on the go help satisfy that craving. 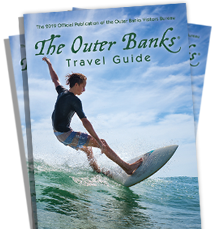 The Outer Banks knows how to have a good time, from community events, family reunions and weddings of all sizes; we can guarantee to please your taste buds with fresh seafood, savory treats and maybe even a local Outer Banks brew. Ease the stress of any event and choose from these local vendors.